I can’t help but have mixed feelings over this BPI announcement! Its customers have mixed feelings over this one. If you haven’t yet, they made an announcement informing all its customers to update their account information by August 31st or they won’t be able to make any transactions except “over-the-counter”. It made the customers panic, that includes me. So today, many people are now lining up in all BPI branches to update their account information. Some customers were mad and closed their accounts instead. 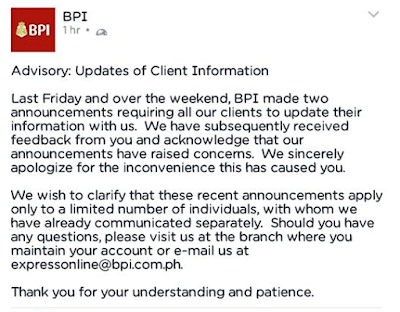 Before I could go and update Dane and I’s information, BPI clarified that the announcement is only for 5% of its customers. And they extended the deadline to September 31st. Makes me realize how important it is to inform the right people and provide the right information to people. Otherwise, we might create chaos and confusion. 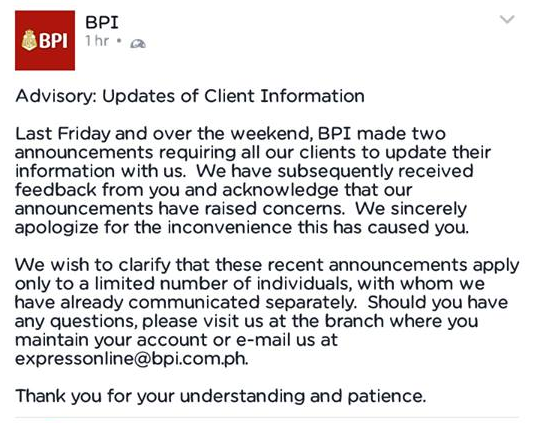 I’m sure BPI has learned its lesson too. August 31, 2016 – Pancake Time! It seems that the week is not complete without pancake now! lol! Pancake has become Nate’s favorite snack, it seems. 🙂 What’s your kids’ favorite afternoon snacks? Hello SeptemBER! Wow! Time’s really fast! 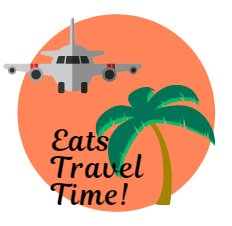 But to have a husband who works abroad, time seems fast but also ironically slow. I don’t know! But yes, we’re 4 months to go before the holidays again! Awesome! September 2 , 2016 – FRIDAAAAY!!! Friday’s here again! Yaaay!!! Tomorrow, we’ll be heading to The Parenting Emporium to attend a seminar on natural healing. Right now, we’re all set for today’s bible study. My mother-in-law cooked pansit for the kids to munch after the meeting. I hope that the kids will learn more and more about the word of God. The -ber feels. It is definitely giving me a slight pressure knowing that days roll so fast and we would just be surprised that Christmas is just around the corner. Oh, the BPI. Sure that not just freelancers and bloggers had felt the same mixed emotions. Good thing that they have clarified everything. I know right! Excited for the holidays! That is so sweet. It is these little things in life that give you so much happiness that nothing else could ever do. I'm happy for you that you got to meet up with some mommy bloggers. 🙂 I hope to join this kind of meet up too one of these days. It's really energizing to be surrounded with people who understand our passions. Cheers to more blogger meet ups in the future! Let's do a meet up soon! I met na Berlin. 🙂 Let's organize and include the others na rin. Anyway, regarding BPI, tama ka doon. It could have been done better in as far as informing the customers. Tapos regarding naman the pancake. MATAKAW! That is like 4 layers??? hahaha! Di naman super takaw, medyo lang. lol. And yes, I'll be happy to meet up with you guys and the rest of the commex people nearby! That BPI drama is annoying! 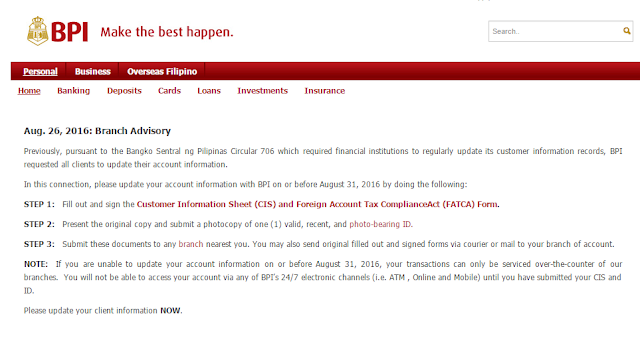 I have accounts on BPI too and I literally panicked when they did that announcement about updating infos in their branch. It's a good thing that they clarified it right away. First of all, when I heard about the BPI announcement, I was a bit frustrated too. I thought to myself, they wanted us to update our accounts in just a span of 3-4 days? Well, it's a good thing they cleared that the note wasn't for everyone and it's supposed to be September 30. Now as for The Parenting Emporium, I just love them. I was able to attend a workshop there about social media and it was quite fun. The place looks like a real store for moms who love to pamper their kids with good stuff. I agree, TPE is really a haven for moms!